You’d be able to use that case instead of what’s listed above along with all of the hardware, it’d all be compatible. Just keep in mind that the S340 case doesn’t have a spot for a CD drive. I was just looking at this build, I was interested but I’ve got a case that only fits a micro ATX motherboard, is there one that I could use to still make this build kinda? For sure, this one from MSI would do well! If you want a different brand then this Asus board would also be an excellent choice. Could I use this for the power supply? And this for the video card? 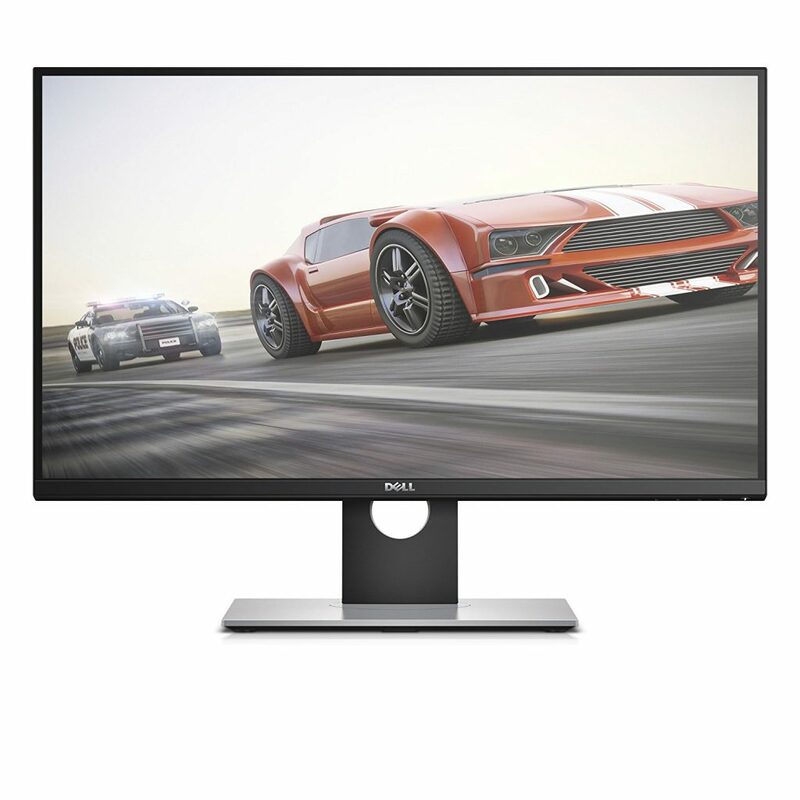 Sorry if these are dumb questions, I’m just new to building computers. Yes, both of those parts would work fine. Though you’d get a better deal with this card from MSI if you want something higher performing/cheaper. Hey all. Im saving up for this build currently. Ill be new to PC and this will ne my very first build. However im the one to say if you want to do something go all out. If i were to get a GTX 1080i and a liquid cooling system would it be compatible with this build or would i have to go with another motherboard and CPU ? Im not too good with knowing what goes together just yet. Also how would i make this a digital only build im not too fond of discs…. Adding in the specs that you mentioned would work out! For a 1080 Ti I’d definitely recommend going with this one from EVGA if you want something that is great in terms of power per dollar spent. As for the liquid cooling, what did you have in mind? Not all liquid coolers are going to be compatible but I can help you find one that’ll work. I’d recommend this one from NZXT or this one from Corsair depending on what you’re looking for. If you want more options for liquid cooling just let me know. 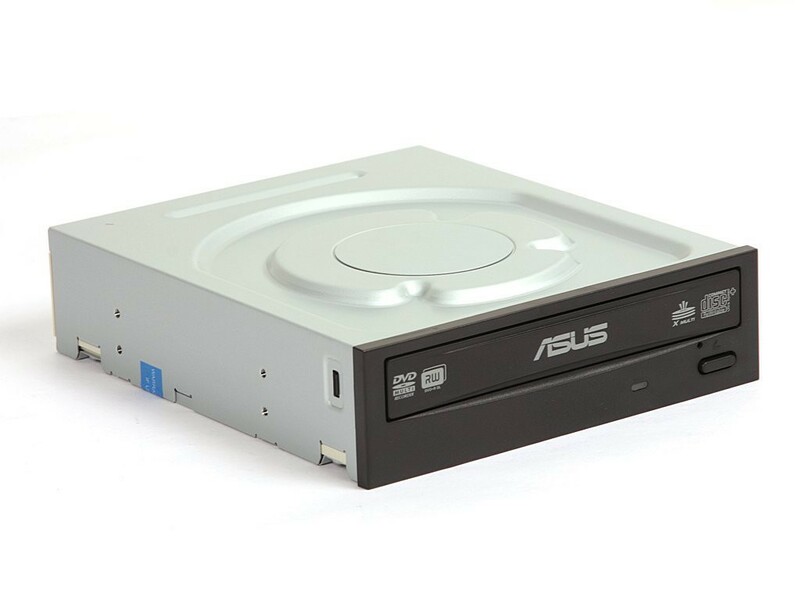 For not using the CD drive, I mentioned it in the post above, you’ll have to install the operating system via USB and obtaining a key from somewhere at some point if you want all of the features. 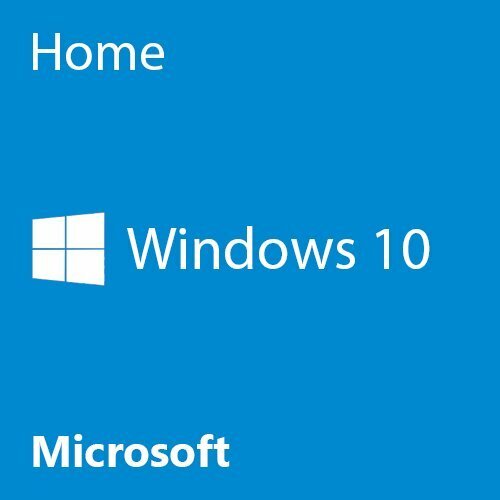 Microsoft provides a tool and download for Windows 10 if that’s the OS you’ll be going for. If you need more help as you’re moving forward with your build I’m always here! Thanks man. And yeah windows 10 will be the OS of choice for me considering most games are Optimized for it. As for liquid cooling im not sure what i want. As i said im new and brands/compatibility arent something im well educated in yet but im trying to learn. Also i was going to use a SSD/ HDD combo. Storing my OS on the SSD and all other things on my HDD’s i decide to install. Im looking to have at least 16-24GB of DDR5X Ram and at least 10TB of internal storage. I know ill need quite the case for all of this to fit comfortably. I know im altering the build a bit. So any help you can give id greatly appriciate it. No problem. The liquid coolers that I linked to you in the previous comment are very good options. For sure go with a SSD if you have the room in your budget! I’d recommend any of these from SanDisk since they’re high quality and available for a decent price point. DDR5 isn’t coming until 2019, at least from what I’ve seen. I’d recommend taking a look at the case listed in the $2,000 build here on the site and see if you’d like it, it’d fit everything that you’re trying to go for. For sure. My budget isnt quite $2,000 but its about $1500-$1800. So i have room for compromise and flexibility to meet somewhere in the middle of the $1000 and the $2000 builds you have here on the site. I wamt room to not have to upgrade for a while. Id hate to drop close to $2k and jabe to drop a few hundred in less than a year to upgrade again. And yes i know my DDR5 will Have to wait. However whats the best DDR4 ram you can recommend based on my budget and the pther things i want to encorperate into my build ? It’s hard to say since RAM is at a weird spot price wise. There isn’t going to be a crazy, significant difference in performance between different types of RAM. It helps having faster RAM but it isn’t anything where it’s entirely essential for the “best of the best” in terms of speed so meeting in the middle makes the most sense. I’d recommend this G.Skill Ripjaws 16GB kit for RAM that’s on the faster side without paying a total extreme on the target budget. I’m not sure what you mean man? I’ve approved and replied to all of your other comments you left, maybe one of your comments didn’t go through? I found this pre-built set-up on Best Buy, with better components (Ryzen 1700x processor, 16 gb RAM, it Includes Windows 10, and has a 120 gb SSD drive) for only $100 more than your set up here…What are your thoughts on this? Gotcha, yeah for sure always here to help! Hey I’m pretty new in building pc, I was looking yours and sound perfect, I’m want it only for gaming, but also something that will last for play new games in the next couple of years, you think this is enough? I was looking the other post, the one with a budget of 1500, I’m flexible with the budget., what you recommend? It comes down to what type of gameplay, resolution and anything else you plan to do with the build… If you plan on doing heavy content creation such as making video and/or streaming content on Twitch then you’d be better off going with the $1,500 build for sure. What resolution do you want to be able to play at? Do you want a solid 60 FPS, 120 FPS or 144 FPS? Let me know and I’ll be able to help further! Hey, I’ll ask for him, haha. 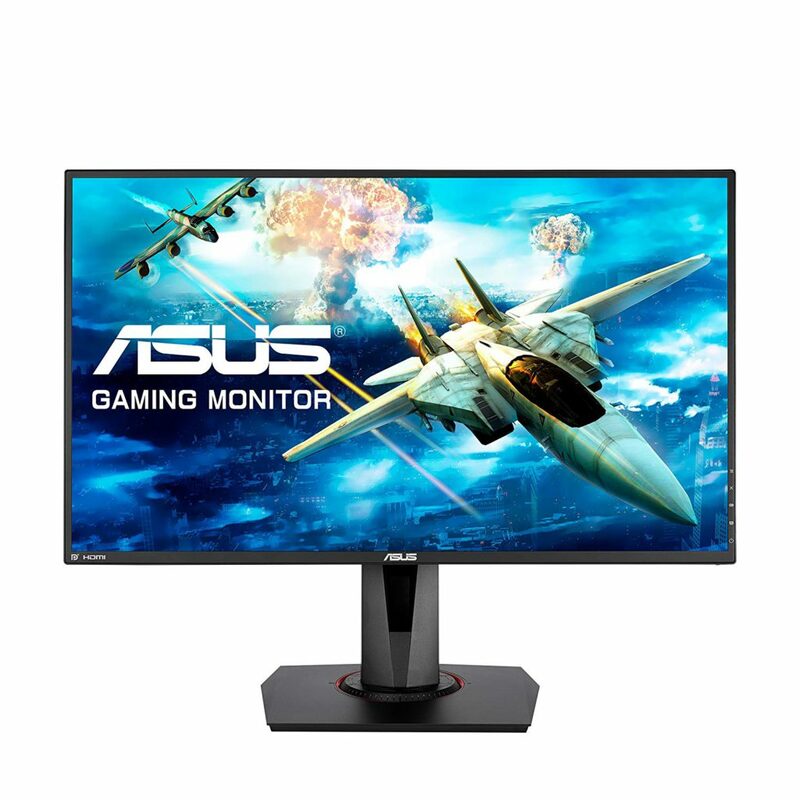 So what would this build run in terms of fps for games like Pubg, fortnite, or games like Far Cry 5, Escape From Tarkov, or even Squad? Every game is going to be optimized differently. Fortnite for example is going to run at maximum settings, consistent 60 FPS for sure whereas Escape From Tarkov is going to run best at a tweaked high setting in order to have the higher FPS. Every game is different in terms of optimization and performance. For the most part, you can expect a build like this to max out most titles and keep a solid 60 FPS across the board at 1080p. At 1440p, you’ll be anywhere from 30-45 FPS average depending on the game. I know this is already inflated because of price issues, but if you could squeeze in a 120gb Solid State Drive for Windows than it would improve performance greatly. It for sure would and that’s the only reason why a SSD isn’t shard with the build. Including one puts the final price point way over the $1,000 mark. What’s the difference between this ryzen 5 and the ryzen 5 with Vega graphics? Would I be able to use either? Vega graphics would be AMD’s new integrated graphics for some of the Ryzen CPUs. Since we’re using video cards with the builds we won’t be using the integrated graphics at all, it’s there for those that plan to not use a video card with their build. Always here to help more if need be! Let me know! Hello! I already have a Corsair CX750M power supply, is it good enough for this build or should I replace it? Thanks! You’ll be fine with that PSU Saint, good to go! Also, if you only use the pc for gaming, would you still choose the ryzen cpu over the i5? The difference is pretty slim, hardly noticeable difference in gaming performance. I share using Ryzen because of that. It’s cheaper, has very similar performance and if you decided to do more in terms of rendering and what not then you have the better choice for tasks like that. Let me know if there is anything else I can help with as you’re moving forward with your build! Compared to the above case, it has less room to work with but it’d still be compatible with everything else listed above. Up to you really! Let me know what you decide to go with. Hey dude, I’m planning on building a PC soon as soon as I get enough money to do so. However, I’m feeling anxious about the RAM. Because I want it to run even the higher end games with no problems, do I need more RAM than 8 GB? Could you recommend something that will give me 16 GB, be relatively cheap, and still be compatible with the set up? Thanks a ton! For the most part, 8GB is the industry standard and is enough to play today’s titles. Though it’s inevitable that, in the future, the minimum amount of RAM needed to run the higher end games will increase past 8GB. Though I personally think it’s a while off yet, some think it’s sooner rather than later so I understand wanting more that way you’re set whenever the increase does happen. You’re not going to find a 16GB kit for super cheap, it’s going to be around double what a single 8GB stick will cost you. 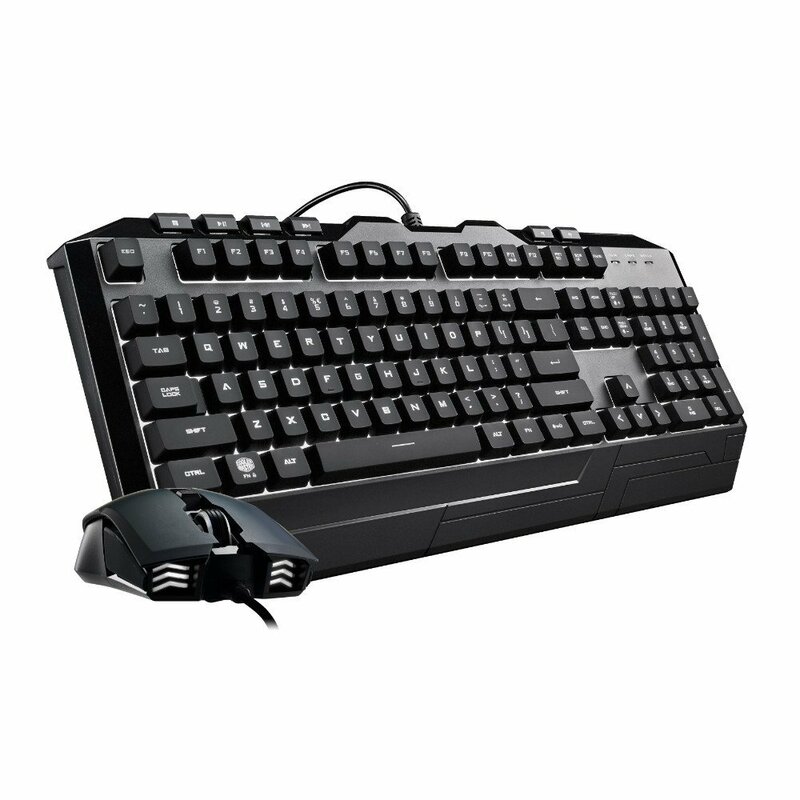 But I’d recommend this kit from Crucial since it’s available for a decent price! Would this card fit in the case also? For sure, you’d be fine using that card with the above case. These specs far surpass what is recommended for Arma III, Isaiah. However, if you wanted to use an Intel CPU, you’ll have to change the motherboard. The type of motherboard depends on which Intel CPU you had in mind. Which Intel processor did you think you’d want to use instead? I can point you in the right direction of which motherboard to get that’s compatible if I know which processor you wanted to use! Let me know! For a similar level of performance, and a bit better with gaming specifically (also with a little bit more added cost), I’d recommend going with this motherboard from Gigabyte and the i5-8400 to go with everything else listed above. That CPU and board will be compatible with everything else above! Let me know what you decide to do! Hey I’m going with Intel and the gigabyte motherboard. For the motherboard would I need to flash any bios for it? Nope, as I said you won’t have to do any changes as it’ll be compatible with everything else above as long as you used what I linked to you in the previous comment. The motherboard doesn’t need any updates! Let me know when you get everything going! What SSD would you recommend if you were to use an SDD in place of the hard drive? Thank you! Hey Colton been hearing rumors of GPU’s coming down in price soon maybe in a few months. Any truth to that ? Nobody knows for certain man, I wish I was able to give you a concrete answer. It’s a very minuscule amount, but the pricing has dropped a little over a longer period of time. Hopefully they get back to MSRP! The GPU prices are affected from different types of crypto currency mining that utilize the tech behind graphics cards for the most efficiency. I wrote about it a while ago right here if you want to read a bit as to why. Prices have dropped a very small amount, I expect them to be back to MSRP/normal hopefully after summer time. Hey there Colton, I finally finished my build. Changed a couple things and exceded a bit the $1000 mark, but I still wanted to know what you think, I’ll buy everything @newegg, seems to have very nice prices. I copy-paste the specs of your post, then replace everything, but forgot to change the Ram!! The ones I choose are G.SKILL Ripjaws V Series 16GB (2 x 8GB) 288-Pin DDR4 SDRAM DDR4 2400. Price is =~correct!! Awesome, 16GB will set you up for the long haul. Very high specs here Saint, be sure to compare prices with Amazon as well if you haven’t already, especially with the GPU. The prices change a lot on both sites. 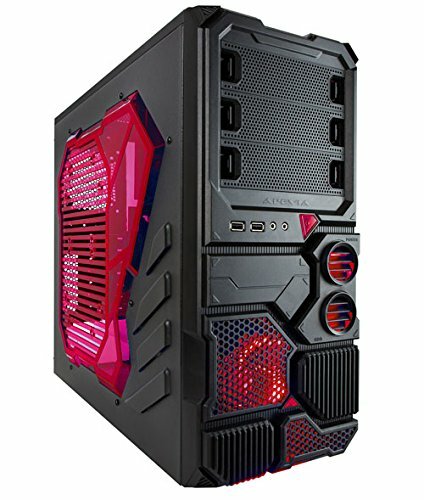 So I’m looking at this as my 1st pc that im going to build but I was wondering the link for the case takes me to amazon but it asks me if I want just the case or the case with fans which one should I buy? The base option comes with one 140mm intake fan and one 120mm exhaust fan, I think the option “Case + Fan” is trying to bundle a white LED fan into the mix. Not necessary, you can always add more fans down the road if you ever deemed that necessary! Let me know what you decide to do! So I have saved up the money to build this PC and have updated my list to this most recent list. Is it good to pull the trigger and buy the parts now, or should I wait? For sure, I even took another look and I’d still be sharing these same parts. It’s a shame that it’s around $100 more but it’s cheaper than around 10 days ago when I updated the parts list. There isn’t going to be new hardware for this type of budget build for long enough to where not much more is going to change. I used the ordered the power supply listed here, but I added the Sandisk SSD from the $2000 build and I didn’t think to ask if that would cause a problem with the amount of power supply I need. Should I cancel the order for the 700 and get a higher one am I worrying for no reason? Thanks Colton! I have been following this blog for almost 2 years now and I am so glad the day is almost here. My last part should arrive by June 4th at the latest. I’ll let you know when it is finished! Colton, can I substitute a RX 580 GTR XFX Black Edition 8GB for the card you used above in the $1,000 build? Will the performance be fairly close to the GTX 1070 8GB you recommended? My buddy has the RX 580 I mentioned and used it only for a few months before upgrading to a 16GB. He is willing to sell it to me for $240. The GTX 1070 8GB you listed is $470. This computer will be used by the whole family for various everyday things as well as my daughter using it for some gaming like Roblox, Minecraft, etc. I just don’t want to have to build a new computer again after this for about 5 years if possible. You’re getting a RX 580 8GB card for about $100 cheaper than what you could get brand new right now, it’s a great deal for you if the card is still in great shape. There’s a reason why the 1070 is higher in price, it’s significantly better than a 580. With that though, a 580 is more than enough for 1080p gaming. It’ll handle all of today’s optimized titles at max settings. A 1070 is more for even higher resolutions like 1440p or even 4K as well as VR. If that’s not what you’re looking to do then a 580 would be perfect. It should last for the long haul. Though a 1070 would be much more future-proof. Always here for whatever else, feel free to ask away as you move forward with your build! That’s how I went about putting my first ever build together, Zack. I didn’t know anything about building PCs when I first started. The above video along with plenty of other tutorials out there will help ten fold as you put it together. It’s best to follow the video, implementing each step as you go along. Hi brand spanking new to pc. Got a Asus gaming laptop and it works great but is also struggling. Spent 1500 on it……..yeah face palm moment. Decided I wanted an actual tower and stumbled upon here. I plan on starting to order the parts today and just want to know if there’s anything to be updated on. hi. I have found this build and was wondering if I can use the gtx 1070 mini,ryzen 5, and the evga 700w listed above in the build to upgrade my computer and if possible is there anything else that needs to be upgraded with it? thanks. You’ll also need to get the motherboard since Ryzen CPUs aren’t compatible with older motherboards. You’d also need to get the above RAM since DDR3 RAM isn’t compatible with the newer gen boards. Other than that, you’d be good to go! Let me know if I can help more as you’re getting the build finished up! Up to you. If you think you’d want to add more RAM down the road than the single 16GB would be the way to go. 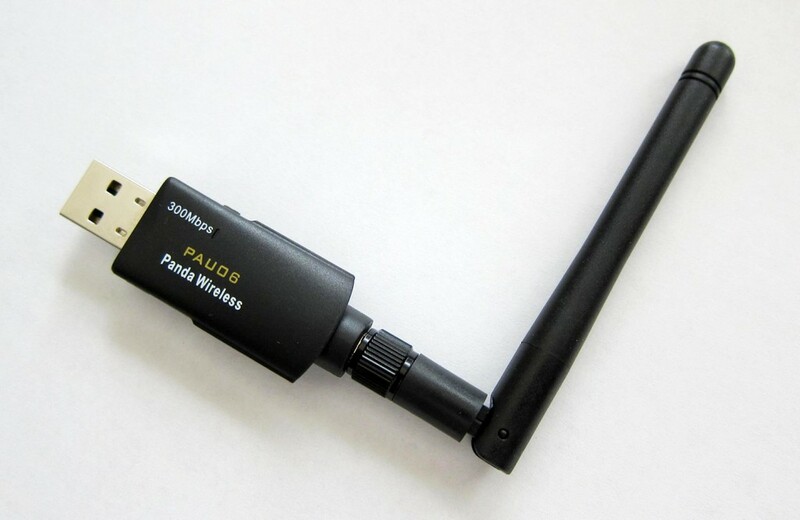 Dual channel, basically having two sticks instead of one, only has a slight hair of a difference in performance. It’s not enough to justify that dual channel is better than a single stick and it’s typically cheaper as well. Hi again. So I’ve made the pc (it’s my first 1) and everything seemed to be working, Managed to install windows download steam, antivirus and stuff like that with no problem at all, until I booted up rainbow six siege (first game I launched). For some reason the pc isn’t identifying the parts or something like that I’m not entirely sure, and it’s causing the game to lag pretty badly and have terrible graphics. I also launched it with TF2 to see if R6 was just too taxing on the pc but the same thing happened except it had slightly better graphics. I opened the case to see if everything seemed fine so I’m really not sure what’s happening so could you please help? Have you downloaded the video card drivers? To me it sounds like you don’t have the correct drivers installed and/or haven’t gotten them installed. You can download the drivers from NVIDIA’s official website. Visit https://www.geforce.com/drivers and enter in the hardware that you’ve got and it’ll find the correct one. If you’ve downloaded the drivers let me know and we can go from there. Thanks for the advice and you were totally correct. I was just an idiot who forgot to install the drivers but thanks so much for the help. No worries Sadi, it’s always usually a little thing that get overlooked! Glad that you’ve got it figured out! Is the GPU compatible with the motherboard? I try to fit in on to hit but it doesn’t work. Everything else works though. For sure it is! Are you installing it properly? Is there a cable or something else in the way of it locking into place on the slot? It doesn’t sound like an issue with your hard drive but more so an issue with setting up your OS to the hard drive. Bottle necking also doesn’t happen because of the hard drive, it’s when the processor and video card levels of performance aren’t similar to where it bottlenecks because it needs to work together more optimally which the above CPU/GPU definitely doesn’t bottleneck. Are you trying to boot Windows through a USB device? Or are you using a CD? Seems to me everything would be compatible as long as I’m looking at the right cases that you’ve listed here. Are these the exact cases that you’re referring to? If so then yes, any of those case choices would work based on the dimensions and what not. A quick note about going with a 500W psu, it’ll work with this build as is but I always like to have a bit more wattage in case of upgrading to newer gen hardware and/or adding in more drives and what not. Always better to be safe than sorry and that way you wouldn’t have to unplug/plug everything back together after an upgrade though at the same time, you wouldn’t need to upgrade for a long while with a build like this. Always here for whatever else! Let me know what you end up deciding to go with! Currently using this as build template, thanks! Thoughts on which SSD instead of the BarraCuda 1TB you recommend? 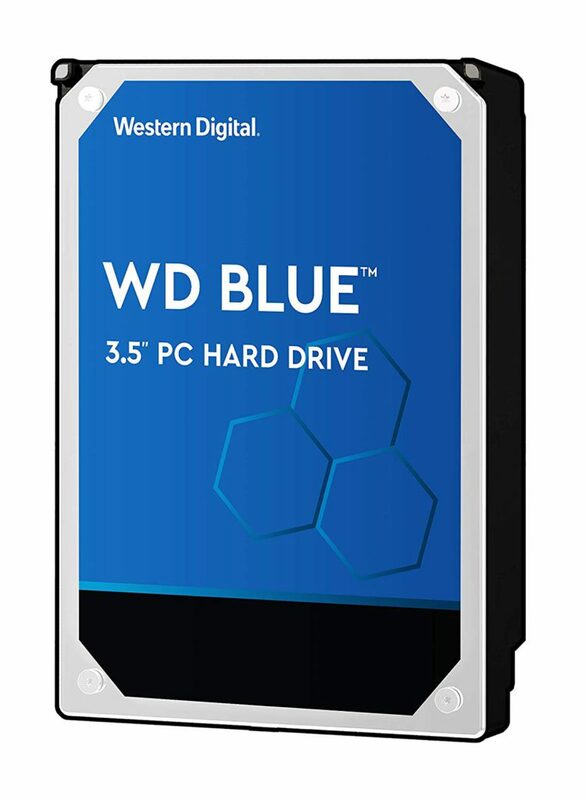 Or given it’s half the cost and has some great peak performance, you’d recommend I quit thinking about an SSD and just buy what you reccommended? Thanks. It comes down to how much space you are going to need. If you know you’ll be having a ton of games to install then you should start out with a 1TB hard drive and then grab a SSD down the road. If you aren’t going to have a ton of space to use right away then starting with a SSD isn’t a bad idea, you can always add in another hard drive whenever you need more space as well. Any of these from SanDisk would be a great choice if you decide on starting with a SSD. Let me know what you decide to go with! Hey I’m interested in this build but I want to use a Intel i7 8700 hexacore instead of the ryzen you listed above. Do I need to buy a cooling fan cause I saw the ryzen included a fan. If so, what fan should I buy and how to I install in into the pc. You’ll need to go with a motherboard that is compatible with that processor, the above motherboard was not designed for that processor. I’d recommend going with this motherboard from Asus since it isn’t a processor with overclocking capabilities and it’s a great overall board for that CPU. Let me know what you decide to do! Hey I’m looking at a different case would this work with this build? For sure. There is enough room with that case where everything above would fit just fine! Always here for whatever else as you’re moving forward with your build. So im about to start building this computer and I was wondering if it would be a good idea to buy a second Crucial 8GB Single DDR4, would you suggest this? Also do I need to buy a cooling fan or is one already included? 16GB of total RAM would be useful if you also plan on using any type of rendering programs such as Adobe products or for video editing. It’ll also help even more with multi-tasking. If you plan on using the PC for VR then 16GB of RAM is basically a must-have for better overall performance. Otherwise 8GB is the standard for all of today’s titles. There is a stock cooling fan that does fine as well as a case fan included. A slight overclock is even possible with the stock cooler that comes with the processor, it’s pretty good! Let me know if I can help more as you’re moving forward with your build. Hello, longtime lurker (4 years i believe). I noticed that you changed the video card from the mini 1070 to the current list. I assume for budgeting purposes? I’m following your build. I got a 3TB Seagate HDD and Crucial 500GB SDD. I was curious if it would make a big enough difference if I decided on the Gigabyte GeForce GTX 1080 Mini ITX 8G Graphic Card (GV-N1080IX-8GD) instead of the 1070. Roughly a $90 increase. And if doing so would make it necessary to upgrade to 16GB dddr4 ram instead of just using 8GB. Any and all insight appreciated. Forgot to ask if going with a 1080 video are if I need upgrade the cpu fan? Also, would the Gigabyte GeForce GTX 1080 G1 Gaming 8G for this case? The video card is the last piece that I need to buy. The stock CPU fan that comes with the above CPU is going to be more than enough, even with a slight overclock in mind it’s still a pretty good cooler! You’d want an aftermarket cooler if you planned on overclocking at the higher levels. You could make that change if you want, there wouldn’t be any need for going up to 16GB of RAM unless you needed it for other programs and/or VR applications. Hello, I’m a long time lurker of this page (at least 3 if not 4 years), and have finally gotten around to building my first gaming PC. I have bought almost everything (except the video card) in this build with the additions of a 500GB Crucial SSD and a 3TB Seagate HDD. I saw that the video card has changed from the mini 1070 to the current one listed. I’m guessing it’s due to being slightly cheaper? 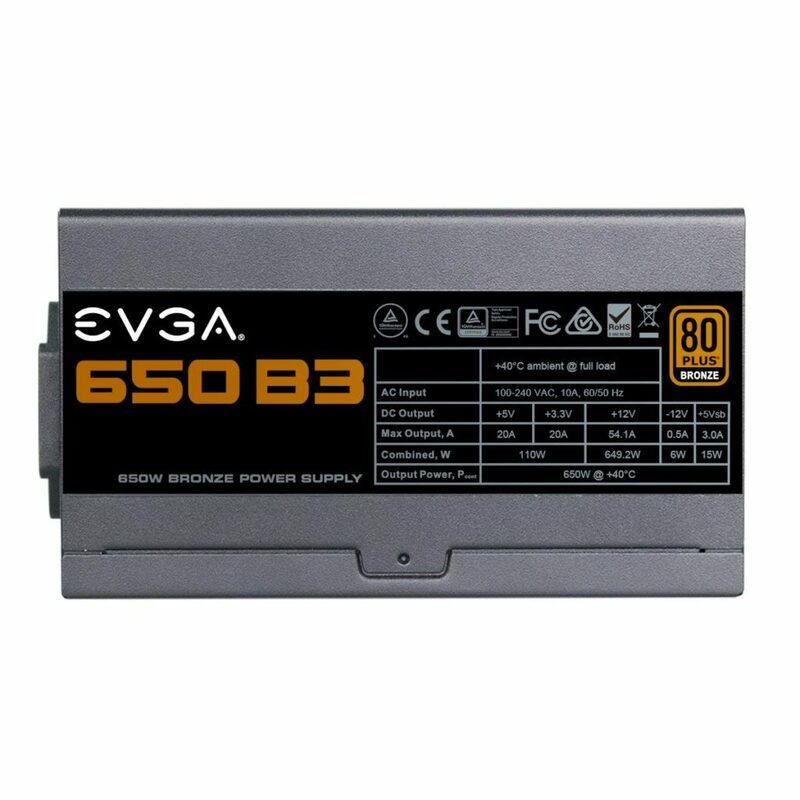 My concern is if the EVGA card would fit into the case as well as if I would need to upgrade any of the other items in this build to support the 1080 card. I’m mainly wanting to play Monster Hunter World and Final Fantasy XIV with this gaming PC. Both of those cards would work just fine, I’ve actually updated the above build with something very similar to the EVGA card that you linked. Everything would fit and work great together! Let me know what you decide to go with, it’s going to be an awesome build once everything is said and done! Much appreciated for the insight. Reading the comments and your input has taught me a lot the past few weeks. I certainly know a lot more than i did a month ago. Thanks again, and I’ll update once the card arrives next weekend. Sounds good, you know where I’ll be! So another question came up. I was looking at other cases and I noticed that a while ago you said the Thermaltake Versa N21 would fit all the parts and I was wondering if it still works. Using the above card, up to a couple of drive bays might be blocked but if you don’t plan on using a bunch of different drives then you’ll be good to go. Also I noticed you changed the graphics card recently. Would you go with the current one, The EVGA GTX 1070, or the previous one, Gigabyte GeForce GTX 1070 Mini? With the current price point I’d definitely go with the EVGA card. I changed it to keep with the budget while also keeping performance power in mind. Hey, so i am completely new to pc building and i am just starting out. i have a single question (sorry if its dumb) but can i replace the graphics card recommended for this one https://amzn.to/2B8Xvrb thanks in advance. Yes! It’s for sure fit and be compatible with everything else listed above. What would you say is the best way to add Bluetooth capability? It is needed for VR controllers. I posted this before but I don’t see it anywhere. Which VR controllers are you planning on using? I have the HTC Vive and they connect via Bluetooth to the lighthouse sensors, not a different Bluetooth adapter. With that, you’d simply add in a Bluetooth adapter into the PCIe slot. I’d recommend this one from Gigabyte as I’ve only heard good things about its use. Hey Colton first off I wanna say I really appreciate all the info you have on pc builds. I already have a prebuilt starter pc from ibuypower it’s decent but I’m ready to build my own and invest. I’m using your $1000 pc build as a basis and I’m willing to invest more into it if need be. I have a different case that I would prefer but don’t know if they are compatible. If you can give me feedback on this I would really appreciate it. Again thanks Colton for everything you do. Glad that you enjoy the site, Marco. That tower will work if you don’t use the above CD drive, there isn’t a drive bay for a CD drive with it. You could install Windows via USB or you could use an external CD drive if you wanted to install via CD. A solid state drive will help with load times by a significant amount. You’d want to install your operating system, most used programs and most played games to the SSD. 16GB RAM will help with multi-tasking and if you plan on adding a bunch of mods to certain games, more RAM is essential. The 8GB standard for RAM is bound to go away in the near future so having double of the standard simply future-proofs your build further. Liquid cooling would only be necessary if you plan to overclock the CPU as much as you can. You’ll be able to get a slight overclock with the stock cooler if you wanted to, but going beyond that would require better cooling such as liquid cooling. No problem for the help, it’s what I’m here for! Always here for whatever else going forward. I built this last month, and have been playing for a solid month. 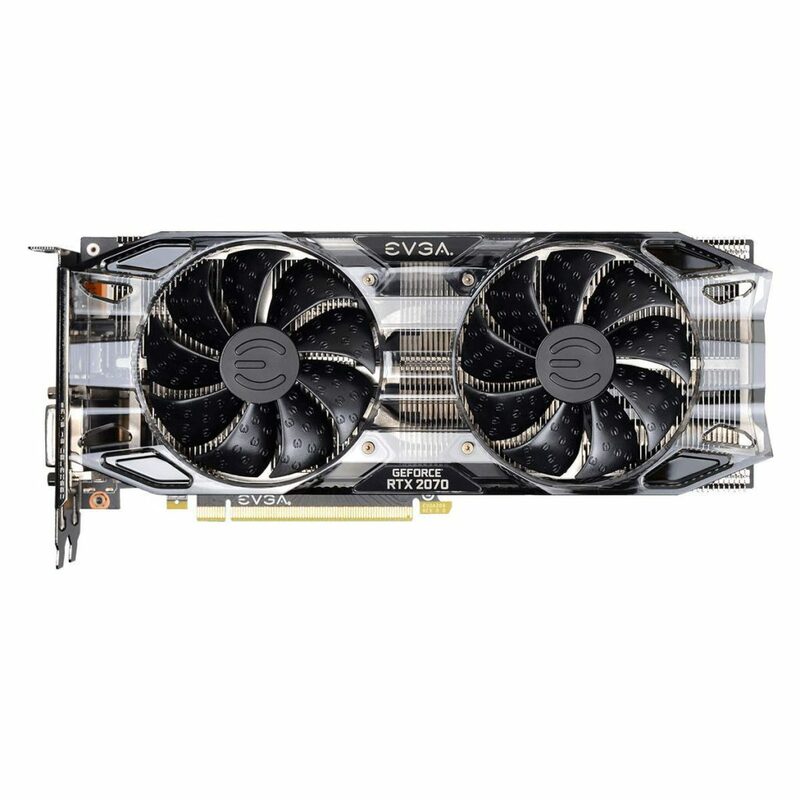 I bought a EVGA 1080 SC video card because it was on sale ($450) through Newegg at the time. This build has not disappointed. I play Monster Hunter World and Destiny 2 to test the limits. It handles them with no issues. BattleTech also runs superbly. I have these games stored on a SSD. Load times are so fast. 10 seconds from boot to Windows. The system is so quiet. I highly recommend. Thanks for the advice you have provided me, and everyone else on that comes your way, Colton. Is there a way that I can donate? Hey there Myles! I’m glad that you’re digging the build. Definitely no need for donations, simply visiting here and there and sharing with friends about the site is all I ask for! Commenting on recent posts and what not helps! Again, I’m glad that you’re enjoying your build. It’s an awesome one! This is very new to me and this site along with others has sparked my itch for PC gaming. Can you use the below case for the September build? Hey Ryan, I’m glad you’re interested in doing a build of your own! It’s the way to go. Is this exact case the case that you’re referring to? If so then yes, it’ll be compatible with everything listed above expect for the CD drive. You’ll have to install your operating system via USB or you’ll have to use an external CD drive if you plan on installing with a disc. Thank you very for the response and yes that was the correct case. I have watched other videos to upload my operating system and do not really have a use for the CD drive. Awesome, sounds like you’re well on your way then! Always here for whatever help you might need going forward. Hey, I was wondering what type of ssd you would recommend for this build? Also can this build support both an ssd and hdd? Thanks for the help! Hey Thomas, I’m a bit late on the reply but hopefully I can still help! I’d recommend any of these from SanDisk for a SSD choice. They’re available for a good price and they have awesome performance! As for supporting both, there is for sure more than enough room with the above case. If you used a different case however you should link it to me in a new comment and I can let you know if it’d work or not! What do you think about this build? Any thoughts on how can it be cheaper? Besides finding a cheaper Windows 10 key and/or deciding on not overclocking to get a cheaper PSU then I’m not sure about any other changes if you’re wanting the type of performance that comes with a build like that. It looks great! Hi, I am trying to get into pc gaming. Would this build still be the best way to go? Or is there another build that might suit me better. My budget is $1000. My goal is a 1080p gaming pc that can run most games at high to ultra. I also want something to do work on or just browse. Will this build work or is there a better one you know of? Thank you for your time. Strictly 1080p gaming at ultra setting for most everything… You could even go a little cheaper with that goal in mind. Now as far as the type of “work” you intend on doing with the build that could also mean a lot to where maybe the $1000 build makes more sense. But if you’re just wanting to really ensure that high FPS, this build will get it done. Let me know if I can help as you’re moving forward with your PC! If 1080p gaming at ultra setting is desired, what build is “a little cheaper” you recommend ? 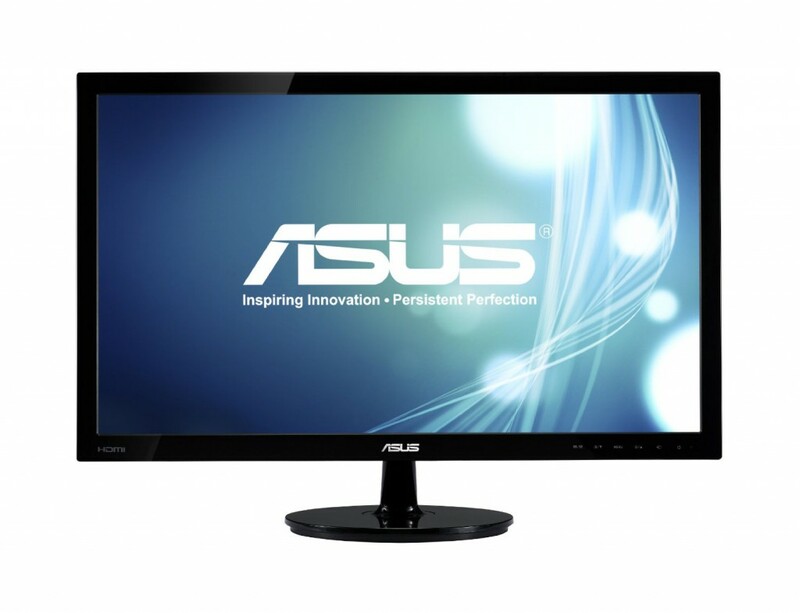 It comes down to what level of 1080p gaming at ultra you desire. If you’re looking for at least 30 FPS 1080p ultra then something like the $600-$700 range would suffice. If you’re looking for 1080p 60 FPS on all titles then $800-$900 would be ideal. Otherwise a build like this would be good for if you’ve got a 144hz monitor and need to hit higher FPS average to take advantage of the monitor’s refresh rate. Hey Colton, I made this PC build about a year ago so mine has the i5 6600k, 16gb of ram, 3tb of hard drive space and 700w power supply. I have been very happy with the performance of the PC. I can run almost any game with high/max graphics with a nice constant 60 fps. The only problem is I Just got a 144hz monitor and I see that some of the games are having trouble keeping at a constant 144fps. It also has trouble keeping multiple applications open at one time if one of them is a game. So here is where I would like your input, what can I upgrade so that I can increase performance and eliminate any stutters/spikes? The things I have thought to upgrade are the processor and maybe getting a solid state drive for my windows 10. I was wondering if you thought that the i7-8700k Unlocked LGA1151 would be worth the purchase or if I would be better off trying to overclock the i5 and getting a better cpu cooler since I would also have to replace the motherboard for the i7. If you could also recommend a solid state drive that would be amazing. Thank you for your time and I hope to hear back from you soon. Glad that you’ve been digging the build!! What kind of video card do you currently have in your rig? Also are you trying to run everything at the highest preset with the graphics settings on these games? I ask because, even in just the past year, there has been a significant increase in how demanding titles are and you may want to go with a high preset and tinker around with setting to get a constant 140ish FPS, especially with newer titles. As for having multiple programs open, what sort of programs are you running in the background? Because if it’s something like a high demanding title with Discord running as well as a YouTube video you should be fine… but if you’re running higher demanding programs then the issue is more likely something with drivers and/or certain programs running in the background that you’d have to uninstall or terminate via task manager. Do you have a Z370 board to go with the 8700k upgrade? Sure it needs LGA1151 but if it’s an older board then it’s not going to be compatible. It depends on the exact board that you have. But a step up like that would definitely increase FPS but only on certain games as each game has a different level of optimization to it. For a while now I’ve been recommending any of these SSDs from SanDisk as they’ve been available for a decent price point and the performance is hard to beat. Be sure to check them out! Hey Colton, I built this PC about a year ago so some of the parts are a little different. My build has the i5 6600k processor, 16gb of ram, 3tb hard drive, and a 700w battery. I have been really happy with the performance of the PC so far. I can play almost any game with high/max settings with a constant 60 fps. There are some issues though, the computer struggles to have multiple applications open at a time if one of them is a game. And I just recently got a 144hz monitor. The PC also struggles to keep it at a constant 144fps without occasional stutters or dips. This is where I would appreciate your input. I want to know what you would upgrade to improve performance and fix the multiple application issue. The things I have thought about so far that might help without costing enough for a whole new PC would be upgrading the processor to the i7-8700k Unlocked LGA1151 and motherboard to the ASUS PRIME Z370-A. And maybe adding a solid state drive for my windows 10 OS. I wanted to know if you think this would be worth the price or if I should just try to overclock the i5 and get a better cpu fan. (No issues with heat, I’m assuming overclocking will raise it.) If you could also link me to a good solid state drive and cpu fan that would fit in the case that would be amazing. Thank you for your time and I hope to hear back from you soon. Ahh I see you wrote another comment showing some of the exact parts. Since you have a Z370 then yes, you’d be able to upgrade to the 8700k and I’d definitely do that if you do or plan on doing heavy processing work as well as wanting higher FPS on most titles. As stated on the other reply, it really does come down to the game. Each game has a different type of optimization for different parts but in general, that upgrade will be worth it to try and get a constant 140ish FPS. Which CPU fan do you currently have? You had to get an aftermarket cooler for the i5-6600k, right? I linked a good set of SSDs in the other reply. Hey Colton, sorry for the double comment from earlier. It didn’t post immediately so I assumed it didn’t work and wrote another one. Anyway, the only other applications besides the game that would be open are discord and chrome. Does that mean that my PC may be having some sort of issue? There are other background anti-virus things like norton, windows defender, and malewarebytes running. Not sure if they could be contributing to the issue. The CPU fan that I have is the Cooler Master GeminII M4 and the graphics card is the gtx 1070. Also, I don’t actually have the new motherboard or CPU yet. I just wanted to know if you thought it would be worth the price of upgrading. Or if I should just go with the cheaper option of getting an SSD, better cpu fan, and the try to overclock. I don’t know a crazy amount about computers so I don’t really know how much better the i7 8700k is than the i5 6600k. I have just been having some fps issues lately like I said before so I thought that the cpu is the most likely cause. Thank you for your help so far and I can’t wait to hear back from you! I would try not having most of the programs running in the background and see which one makes the most difference. Though I also want to say that I have Avast, Discord and/or TeamSpeak, sometimes YouTube and a game all running at the same time without super crazy drops in frames. This is with 16GB of DDR4 RAM. Processing power and video card power, especially since you are using the 1070, shouldn’t make you drop insane frames. I take it you’re at a 1080p resolution for your screen as well? Would this case work with this pc build? It’ll work, but keep in mind that there isn’t a slot for the disk drive so make sure you know what to do as far as installing your operating system via USB if you’re using that case. 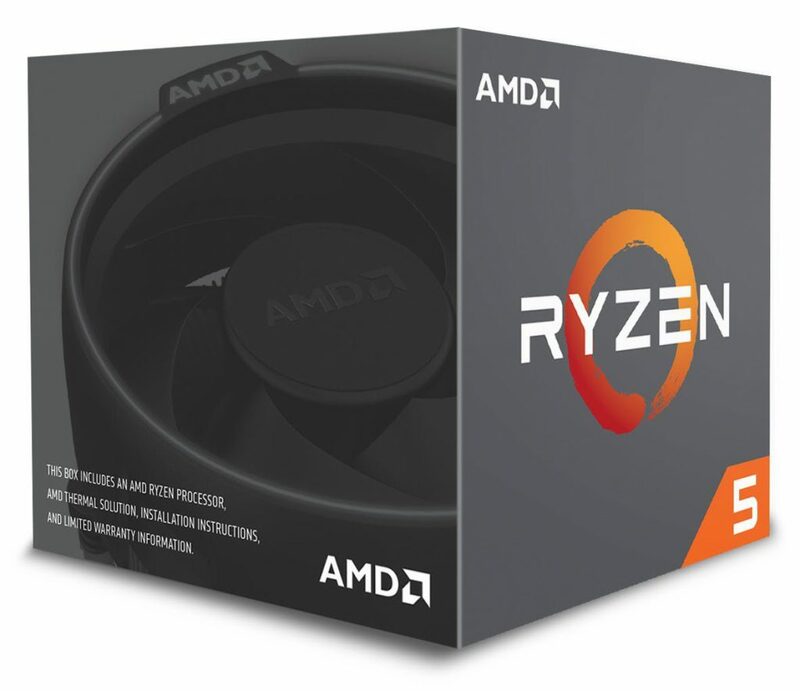 Could the AMD Ryzen 5 2600X be replaced with a intel i5 or i7. Would there be any compatibility problems? Im pretty new to this pc thing. Only if you also switch out the motherboard that’s able to use the i5 or i7. 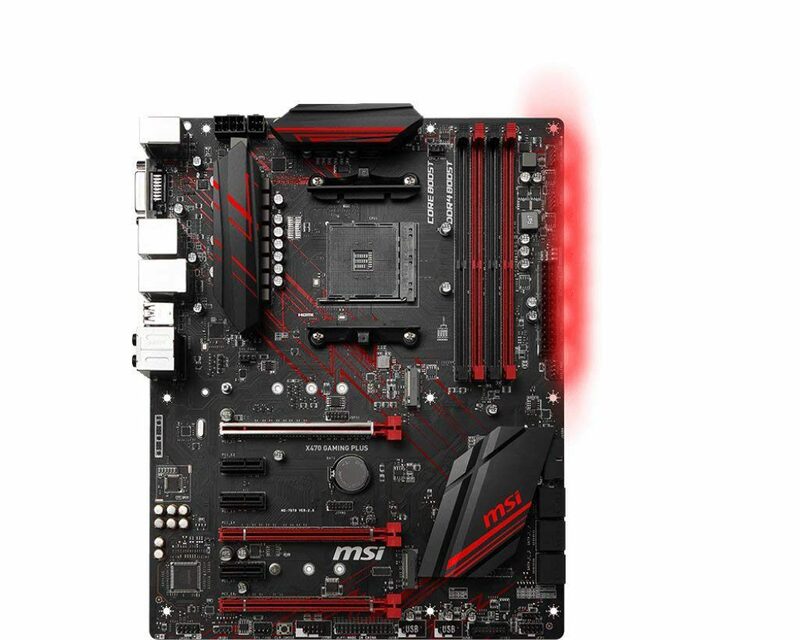 For the i5-8600k or the i7-8700k I’d suggest going with this Z370 motherboard from MSI. Keep in mind that by going with the “K” versions of these processors you’ll also need to get an aftermarket CPU cooler to go with since the K versions won’t come with a stock cooler. If you don’t plan on using the K versions let me know and I can help you further. However, if you need help finding a good aftermarket cooler for the K versions then I can also help with that. Let me know! Always here to help. Hey, just want to thank you for posting this. I never had too much time with computers when I was growing up because my family could never afford them. The video posted here alongside the parts pricing, and other documentation gave me an idea on what to do, and goals to set for saving up and piecing my Frankenstein together up until I got the blue ray drive and the OS disc to boot Windows for the first time. That was two years ago, and now I’m looking to upgrade my PC that I built through this post. And as PC gaming has gotten bigger my friends as well are curious as to how to build a PC, I always refer them to this post and I really think it deserves a lot more credit. I just want you to know that I’m looking to start streaming and recording videos and that I will continue to refer to this post for upgrades and recommendations to keep me in the game. I’ve been working and keeping this site going for right around 5 years now. I just want to help people game on rigs that don’t break the bank yet give the quality that they should have. Thank you so much for sharing! Hey. I was looking to build my first pc and came across this page. I really like your feedback and helpfulness. With black friday around the corner I’ve been searching extra hard for deals on these parts. I have seen a few nothing major but came across this pre built which is similar. I cant find anything on mobo or psu but what do u think? I wasn’t able to find that exact PC on Amazon, do you happen to have a link to show me? I want to make sure it’s the same PC that we’re looking into.